Comprehensive strategies to meet any need. Since our founding almost thirty years ago, NorthCoast has evolved as a result of investor demand and expanded its separate account offerings in an effort to provide complete transparency, increased liquidity and customized solutions. Every investor is unique. NorthCoast offers a suite of investment strategies designed to meet the goals and objectives of the investor at any stage of the investment cycle. From income to growth or alternative solutions, our dedicated advisory team will work together to construct a portfolio that’s right for you. Also known as “Risk Adjusted Growth”, NorthCoast’s tactical growth strategies are designed with a dual objective of capital appreciation and downside protection. These strategies aim to accomplish these objectives by first analyzing existing risk then determining the desired asset allocation and security selection. NorthCoast Growth is a tactical, long-term growth strategy focused on capital appreciation with a secondary objective of downside protection. The strategy invests in leading growth stocks during favorable equity environments and scales to cash to preserve gains when bear market risk is high. The strategy adheres to a flexible investment mandate that allows for allocation shifts that range between 0%-100% exposure to equities. Positions are managed (purchased and liquidated) through a proprietary stock scoring system designed to build a comprehensive growth portfolio. 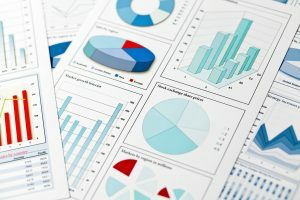 Partnering with Investor’s Business Daily®, NorthCoast constructs private portfolios that are personally catered to clients based on their needs and objectives using enhanced CAN SLIM® investing techniques. NorthCoast will combine the CAN SLIM® techniques, which have proven valuable over the last half-century, with upgraded private client services, such as tax management, risk adjustment and portfolio hedging. Over the past decade, NorthCoast has evolved as a result of investor demand and expanded its separate account offerings utilizing the CAN SLIM® investment system. NorthCoast offers solutions catering to clients seeking international exposure, tax-efficiency, faith-based considerations, or a conservative complement for investors with shorter investing time horizons. Tax-Managed is a long-term tactical growth strategy focused on capital appreciation with a mandate to reduce the impact of tax consequences. The strategy invests in leading growth stocks during favorable equity environments and scales to cash to preserve gains when bear market risk is high. The strategy adheres to a flexible investment mandate that allows for allocation shifts that range between 0%-100% exposure to equities. Positions are managed (purchased and liquidated) through a proprietary stock scoring system with tax considerations designed to build a comprehensive growth portfolio. Tactical Growth is a fully tactical investment strategy designed to generate long-term growth. The strategy invests in a diversified basket of global ETFs across the asset class spectrum using global equities, global bonds, real estate, alternative investments, and cash equivalents. The primary objective is long-term capital appreciation with secondary objective of capital preservation. U.S. Sector Select Hedged is a fully tactical investment strategy designed to generate long-term growth with downside risk protection. The strategy utilizes a proprietary scoring and selection process to actively allocate across U.S. sector ETFs. The strategy invests in sectors with higher risk-adjusted return potential and reduces or eliminates exposure to sectors with lower risk-adjusted return potential while applying defensive cash scaling risk controls designed to reduce volatility and mitigate significant loss. International Select Hedged is a fully tactical investment strategy designed to generate long-term growth with downside risk protection. The strategy utilizes a proprietary scoring and selection process to actively allocate across international country ETFs. The strategy invests in countries with higher risk-adjusted return potential and reduces or eliminates exposure to countries with lower risk-adjusted return potential while applying defensive cash scaling risk controls designed to reduce volatility and mitigate significant loss. By clicking below, you are leaving the NorthCoast Asset Management website and entering the CAN SLIM® Select Growth Fund website. Click here to enter CAN SLIM® Select Growth Fund website. NorthCoast’s growth strategies, also known as “upside capture” investment strategies, are solutions that seek to generate portfolio growth and return greater than the respective market benchmark. U.S. Sector Select is an actively managed investment strategy designed to generate long-term growth. The strategy utilizes a proprietary scoring and selection process to actively allocate across U.S. sector ETFs. The strategy invests in sectors with higher risk-adjusted return potential and reduces or eliminates exposure to sectors with lower risk-adjusted return potential. Global Select is an actively managed investment strategy designed to generate long-term growth. The strategy utilizes a proprietary scoring and selection process to actively allocate across global country ETFs. The strategy invests in countries with higher risk-adjusted return potential and reduces or eliminates exposure to countries with lower risk-adjusted return potential. International Select is an actively managed investment strategy designed to generate long-term growth. The strategy utilizes a proprietary scoring and selection process to actively allocate across international country ETFs. The strategy invests in countries with higher risk-adjusted return potential and reduces or eliminates exposure to countries with lower risk-adjusted return potential. Emerging Market Select is an actively managed investment strategy designed to generate long-term growth. The strategy utilizes a proprietary scoring and selection process to actively allocate across emerging market country ETFs. The strategy invests in countries with higher risk-adjusted return potential and reduces or eliminates exposure to countries with lower risk-adjusted return potential. Legends Value is a strategic long-term value strategy focused on capital appreciation. The strategy aims to maintain a full investment in equity securities. The program is derived from the investment philosophies of three of the top professional money managers in history, Benjamin Graham, John Neff, and Joel Greenblatt and coupled with a proprietary stock scoring system designed to build a comprehensive value portfolio. Vista is a strategic long-term growth strategy focused on capital appreciation. Utilizing a proprietary stock scoring system, Vista seeks stocks with “growth-at-a-reasonable-price”, a style known as GARP. The strategy is grounded in its long-term growth objective and remains fully invested in equities throughout market cycles. The program actively searches for stocks that show consistent earnings growth above broad market levels while exhibiting attractive valuations and entry points. NorthCoast’s income strategies are designed to generate yield and return through traditional and non-traditional income sources. Tactical Income is a fully tactical investment strategy designed to produce income while managing principal risk. The strategy invests in a diversified basket of global ETFs across the income spectrum using U.S. bonds, international bonds, corporate bonds, mortgages, and U.S. and international dividend equities. The strategy seeks a target yield of inflation +2-3%, protection against rising interest rates & inflation with real assets, potential for appreciation through growth assets, and downside protection through a tactical allocation to yield sources with diversification benefits. Core Fixed Income is a long-term income generation strategy focused on capital preservation by managing principal risk. Core Fixed Income invests in a diversified basket of global ETFs across the income spectrum using U.S. bonds, global bonds, corporate bonds, mortgages, and other asset classes. The portfolio seeks to produce long-term returns above the bond aggregate market index. Aggressive Income is a separate account strategy designed for long-term income generation through the selection & management of securities that are typically not correlated to the general bond market. The strategy invests in a diversified basket of global securities across the income universe. Aggressive Income first analyzes market risk through intense daily research of an extensive set of data points that drive market direction, and then allocates across complementary securities with the best risk-adjusted yield potential given those market conditions. NorthCoast’s core strategies aim to serve as the “core” or majority of an investor’s portfolio. They are designed and constructed with the multi-purpose of capital appreciation, income generation and capital preservation through a variety of asset classes. Diversified Core is a moderately tactical investment strategy designed to produce a balanced approach to growth and income. The strategy invests in a diversified basket of global ETFs (global equities, global bonds, real estate, alternative investments, and cash equivalents) with a balanced objective of capital appreciation and income generation. Diversified Growth is a moderately tactical investment strategy designed to produce long-term capital appreciation. The strategy invests in a diversified basket of global ETFs (global equities, global bonds, real estate, alternative investments, and cash equivalents) with a primary objective of capital appreciation and secondary objective of income generation. Growth & Income is a long-term growth strategy focused on capital appreciation with a secondary objective of capital preservation through income generation. The strategy combines our CAN SLIM® Investment Program (75%) with our Core Fixed Income strategy (25%). The strategy adheres to a flexible investment mandate that allows for allocation shifts that range between 0%-75% exposure to equities, with a 25% allocation to fixed income. See CAN SLIM® and Core Fixed Income for more details. Balanced is a long-term growth strategy with a balanced approach to capital appreciation and preservation. 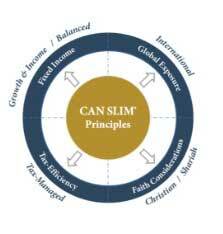 The strategy combines the CAN SLIM® Investment Program (50%) with the Core Fixed Income strategy (50%). The strategy adheres to a flexible investment mandate that allows for allocation shifts that range between 0%-50% exposure to equities, with a 50% allocation to fixed income. NorthCoast’s flagship alternative strategy aims to generate return that is generally uncorrelated to the equity and fixed income markets. Zero Beta is a separate account strategy designed to produce long-term capital appreciation through the active management of securities that are typically not correlated to the general equity market. The strategy consists of positions in Exchange Traded Funds (ETFs), mutual funds, and individual securities that collectively aim to produce a positive return stream with zero, or near zero, Beta to the equity market.